Call us at 605-361-6706 today. 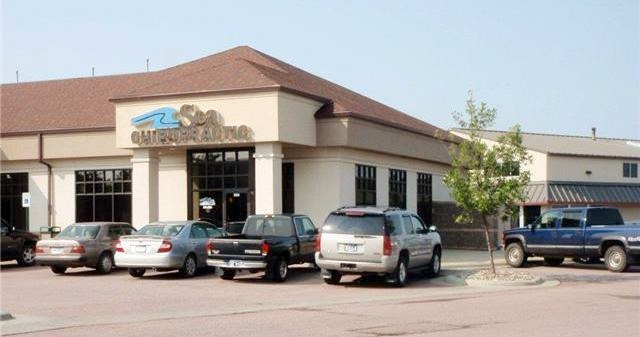 Located in the heart of Sioux Falls, the leading health professionals at Sea Chiropractic are dedicated to helping you achieve your wellness objectives -- combining skill and expertise that spans the entire chiropractic wellness spectrum. Dr. Trent Gusso is committed to bringing you better health and a better way of life by teaching and practicing the true principles of chiropractic wellness care. Dr. Trent Gusso, a Sioux Falls native, attended University of South Dakota and then went to Palmer College of Chiropractic. He completed his doctorate degree in 2003 and has been at Sea Chiropractic since that time. "Absolutely the best!! I am so grateful that I can drop in as needed for my awful headaches. Dr Gusso is amazing!" "They basically are the best around..Hands down:)Thank you Doug Sea for everything you did for my family."